The web can be a lot of fun, but it’s also a pretty dangerous place to venture out into—with phishing sites, drive-by downloads and other nasties lurking around every corner. If you’re browsing on Firefox or Chrome you should give your browser some extra muscle for keeping you safe online by installing one or more of these security-focused add-ons. Both browsers currently do a commendable job of protecting you online—just make sure you’re running the latest version of whatever application you prefer, and a lot of the worst that the internet has to offer will automatically be rebuffed anyway. Let’s start with one of our traditional favorites, the password manager: LastPass isn’t the only option here, but it’s one of the best, and apps like this make your passwords that little bit more secure and easy to manage. The LastPass extension is able to handle all your logins for you and can securely save other sensitive info like credit card numbers too. One of the most popular and simplest tracking blockers out there, uBlock Origin’s mission in life is to stop websites (and the companies that run them) from gathering too much information about you, blocking code that can monitor your online activities, or worse. Just be sure to keep (unobtrusive) adverts enabled on those sites you want to support. Installing a VPN is one of the best ways of staying safe online—particularly on public Wi-Fi—and you have a broad choice of apps and associated browser extensions to pick from, so take your time and do some research. We’ve chosen TunnelBear here, because it’s free to get started and well-established, and you can get up and running with just a few clicks. Another extension with a focus on privacy, offered up by the Electronic Frontier Foundation (EFF) no less. The add-on stops companies from tracking you across multiple websites, blocking hidden tracking codes and the surreptitious collection of marketing data, and you get full control over what’s blocked through a simple slider-based system. Unwelcome website code can cause all kinds of problems, security-related or otherwise, but ScriptBlock hands control back to you without being overly technical or difficult to use, and includes granular controls and whitelisting options. Other similar tools we’d recommend include ScriptSafe for Chrome and the excellent NoScript for Firefox. uMatrix is a powerful firewall for your browser with a whole host of options to can dive into to bolster your browser’s security and protect your privacy. It enables you to, for example, block scripts, iframes and ads, and see exactly what websites are getting up to. You get plenty of control too, for managing those sites you trust and those you don’t. Another perennial favorite of ours that gives you a better idea of what websites are doing behind the scenes while blocking various bits of code that could do damage to your computer or your privacy. As with the other extensions here, you can customize the control for different sites, and, as an added bonus, you might notice your browsing is faster too. 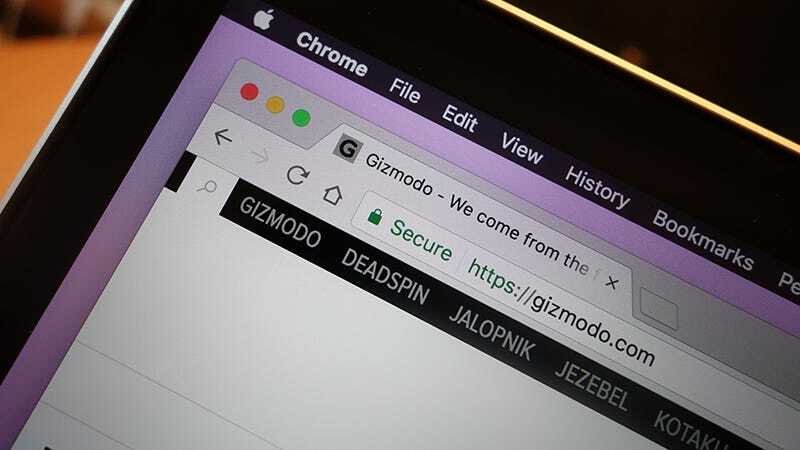 HTTPS is the extra-secure connection protocol you’ll see used by default on a bunch of sites, from your online banking portal to Gmail. What this extension does is make sure HTTPS is being used wherever webmasters make it available, even if it’s not usually switched on or fully implemented. It’s a simple but effective browser security booster.